Aries is the first sign of the Zodiac. This sign, more than any other, needs to lead. A natural-born warrior, fearless and courageous when positive, but foolhardy and reckless when negative, an Aries person is difficult to ignore, highly competitive, hard to beat, in sufferably annoying, but strangely likeable. Aries people are strong-willed, adventurous, naturally extrovert, and impulsive. Loaded with energy and vitality, they charge at full power into their endeavors and expect people to keep up with them. Most Arian people are direct, outspoken and uncomplicated. Arians can strike out and hurt, both mentally and physically, but they are just as quick to forgive and forget. Aries guys are full of energy and are quite intense in nature, however they are known to exhibit temper-tantrums at times. The compatibility of Aries natives hence depends on how well the partner allows the Aries to have his or her individual freedom and independence. Aries natives being aggressive and stubborn make the other signs quite frightful and hence compatibility with an Aries person seems to a big question. They are sexually strong and physical connections mean a lot for them. 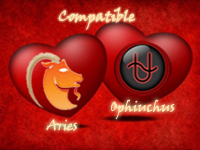 During the initial phases of a relationship with an Aries person, there would be better compatibility. However with time, there would be signs of stress in the relationship as some Aries guys are found to be selfish or self-centered. Only the very sensitive zodiac signs can get along with an Aries person in a relationship as they can very well understand the emotional nature of their Aries counterparts. Coming to the elemental analysis, Aries is a fiery sign and hence a combination with another fiery sign would let all hell loose in a fiery inferno. The Aries’ compatibility with the air signs would fare well where the Aries’ passion and the air-signs’ concepts of life can go along well. With an earthy sign there would be signs of stifling each other that compatibility in life would be just out of question. 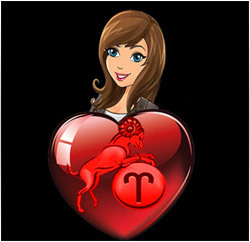 Aries natives love an adventurous and passionate person as their partner in life. But then they are against those who are temperamental, selfish and reckless with life. Also Aries people are not that faithful in a relationship. They are found to make hasty and rash decisions regarding love and relationships and would be regretting later on. 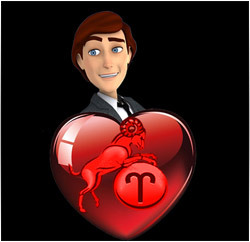 Only those who can tackle the emotional bouts of an Aries can continue with a compatible relationship with them. But be informed that life with an Aries man or woman would never be boring and ordinary. It is up to the partner to bow to the demands and fiery nature of an Aries for compatible relationships. An Ophiuchus is compatible with the aggressive Aries in any ways. Though Ophiuchus is also impatient in life like an Aries, they are not as aggressive as an Aries, instead work their way through emotional upheavals. Aries just cannot take the emotional excesses of the Ophiuchus for long and hence this relationship goes well in gets into rough roads.